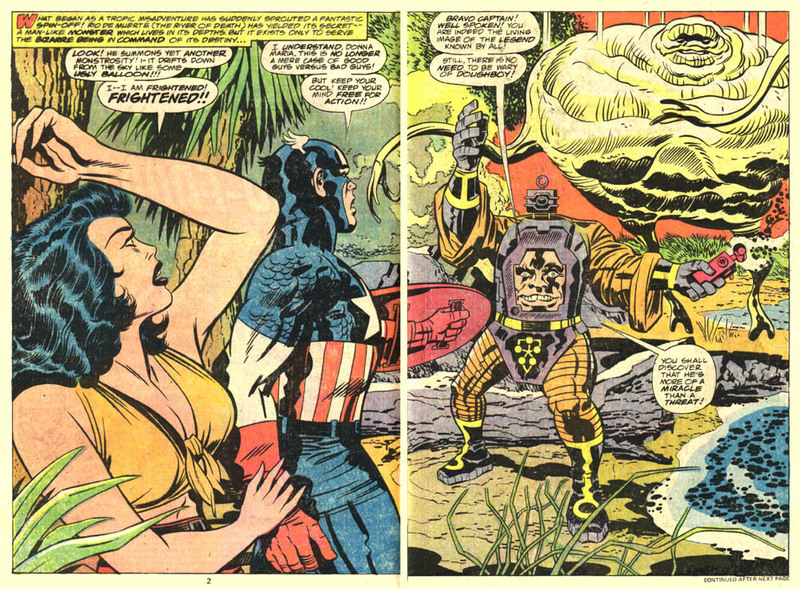 To put it simply, it’s impossible to imagine comic books existing in their modern form without Jack Kirby. it’s hard to fathom what Marvel Comics at their inception and heyday might’ve been like without Jack drawing most of the books, stretching imagination to it’s limits while establishing a house style. During the celebrated Marvel Age of the 1960’s, Kirby, a workhorse of uncanny proportions, produced more books a month than most creators do in a year today. So much so that he was often and easily taken for granted, and stretched thin to the point that the work he’s most recognized for ironically isn’t really his best work. As much as I love his 100 issue marathon run on Fantastic Four, his truly epic Thor issues, wall to wall action in Avengers, and all the other Marvel Comics he brought to life and characters he created, it was his seventies leap to DC Comics that brought his truest vision to paper. Foreseeing the trade paperback market of today, Jack knew that comic fandom was strong enough that at some point, the slowly rotting newsprint of floppy comics would give way to more permanent reprint collections, and started writing his New Gods saga for an eventual collection and larger audience one day. Basically a story of generational struggle told with cosmically Shakespearean characters, Jack’s new world was launched initially in the pages of Superman’s Pal Jimmy Olsen, because when the heads at DC told him he could have any book, he only wanted to take on one where it wouldn’t result in anyone else losing their jobs. Unfortunately, seventies DC Comics wasn’t the time or place for the innovations in deeply personal and heady comics he was making, and the three books that made up the continuing story were canceled after about a year. Although DC would go on to utilize the characters he created there to great success, especially villainous patriarch Darkseid, the saga Jack intended to tell with a beginning, middle, and end was cut short. Never one to be discouraged, Jack went ahead and kept on at DC for awhile creating more characters in Demon and Kamandi, but he ended up returning to Marvel and getting carte blanche doing story and art on Captain America, which became a trippy and occasionally existential journey into madness. For the first time in a very long time, Jack was back home, on perhaps the strongest character that he created, and his imagination really ran wild. These were the first Kirby books I saw as a young kid, and I couldn’t completely make heads or tails of them. They’re challenging. You have to sit with them for awhile. In my case, it took decades to fully get my head around them. There’s a certain vibe to the work that he did there, the images are hypnotic and explosive. The sensibility is grandiose, but there’s such a grit to what he did. Like all the best tastes, Kirby in this period is an acquired one. In the mid-eighties, Jack returned to DC to finish his New Gods story. 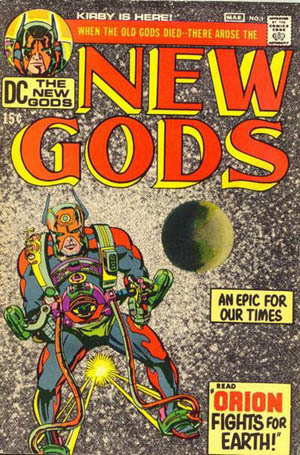 The initial issues were reprinted on fine, thick Baxter Paper, the first issue of the compilation series featured the great line “READ THE NEW GODS- AS THEY REALLY ARE!” a number of writers and artists had their way with the New Gods and continue to do so, a fact of commercially owned characters Jack was well aware of, but stung with Darkseid and company, as the plan had been that they would all be Kirby from start to finish. In Hunger Dogs, the fated final confrontation between Darkseid and his son Orion transpired, and ended in a way that no one had predicted. It’s not a beloved piece of work by most, but it is by me. Jack’s art takes on almost a Picasso like post-impressionistic tone, and the story told is ultimately one about moving past trauma and a thirst for getting even. This wasn’t what most people were expecting or desired, but to me, it was perfect. 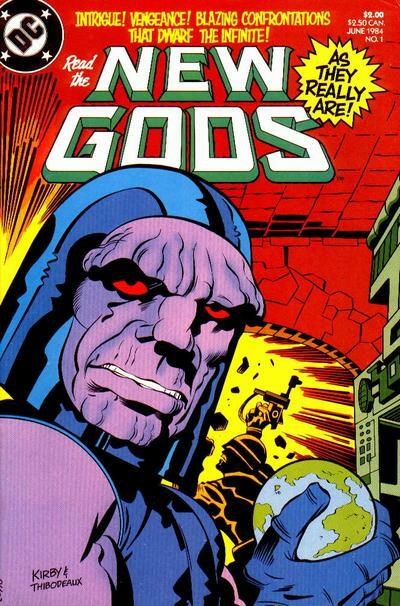 The final fate of Darkseid was explored in the Super Powers comic, oddly enough a toy line tie-in, told in two miniseries soon after. Usually dismissed offhand as “non-continuity,” it’s hard to imagine Jack gave a damn what the book was called when he drew it, or what editorial’s larger plan for how it related to their other books was. 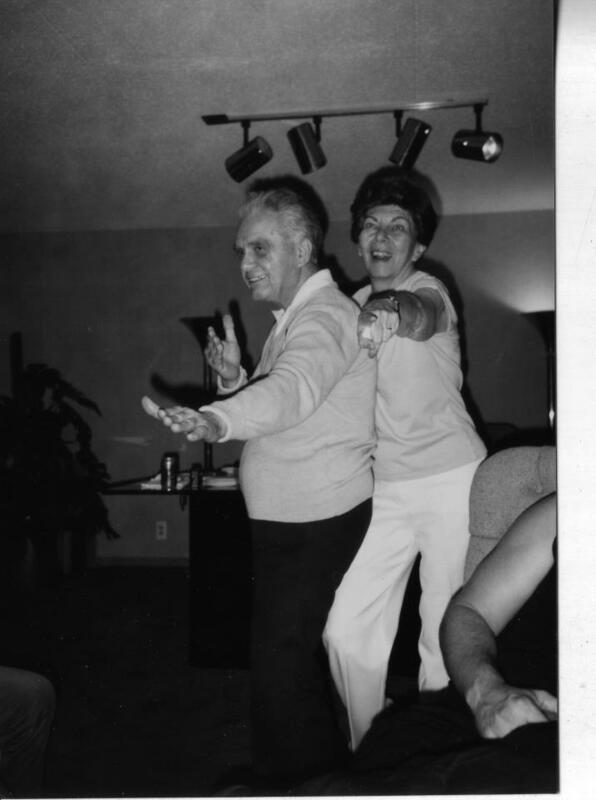 Today is Jack Kirby’s birthday. He would’ve been 96. Do something, no matter how large or small, to honor him today.